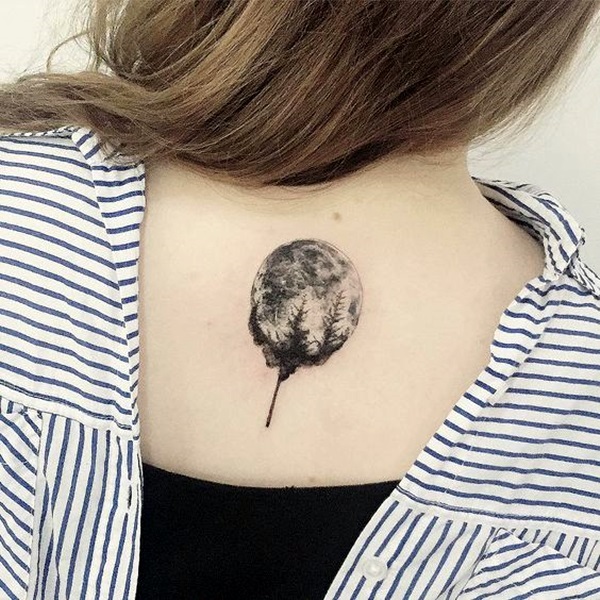 Moon – the subject of so many romantic poems, notions, and that too in spite of the scientific discoveries that we have made about this celestial body. 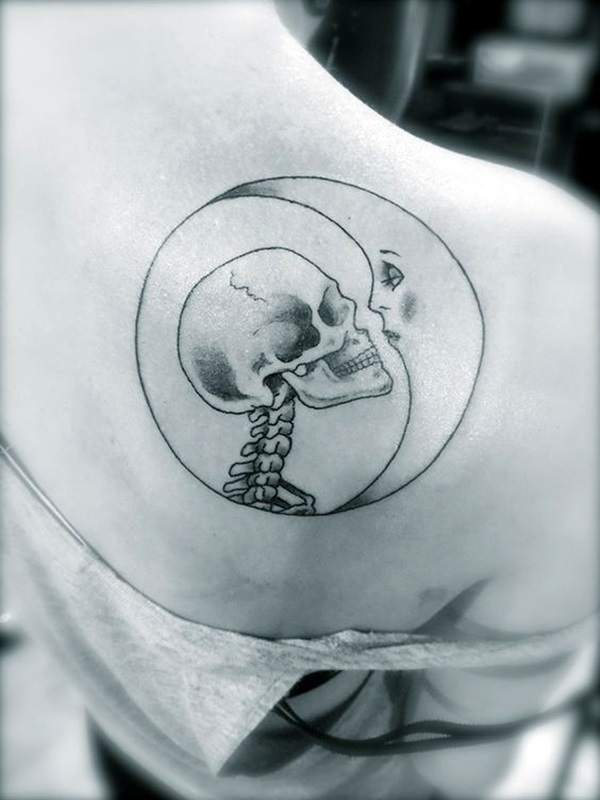 It should hardly come as a surprise to you that the moon has a special place in the world of tattoos, with all their emphasis on deep symbolism and mysticism. 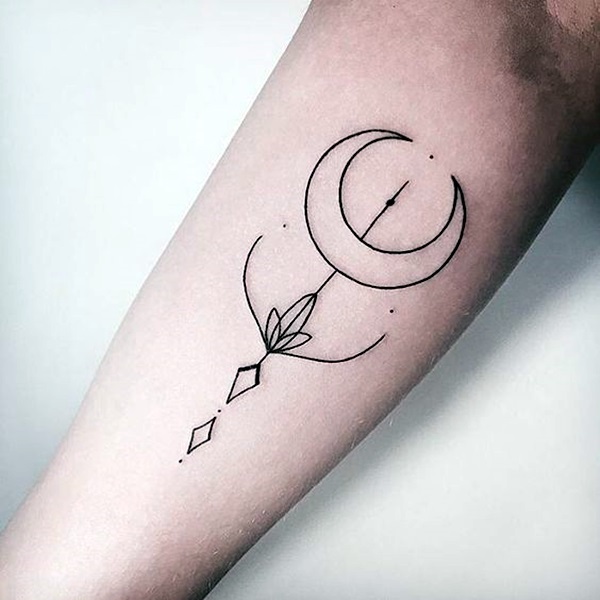 One cannot help but compare them to sacred geometry tattoos because after all the moon is round and round is a shape in geometry plus it also has sacred connotations. 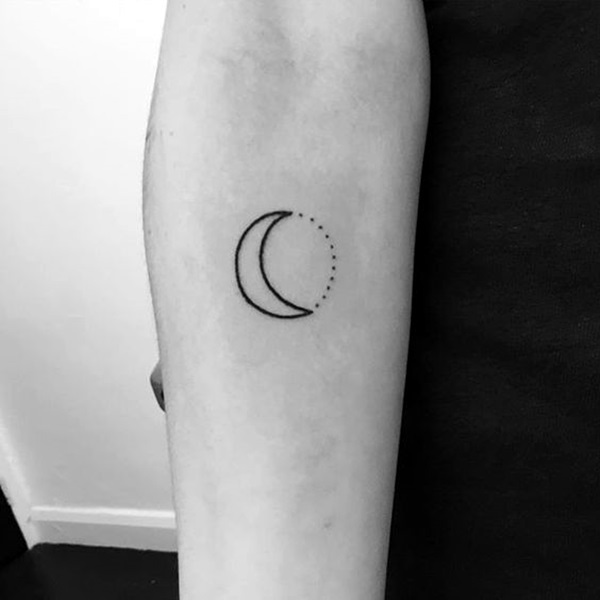 The moon has the quality of waxing and waning coming into its full form and then go back a bit by bit to a sliver and then coming back to full form. 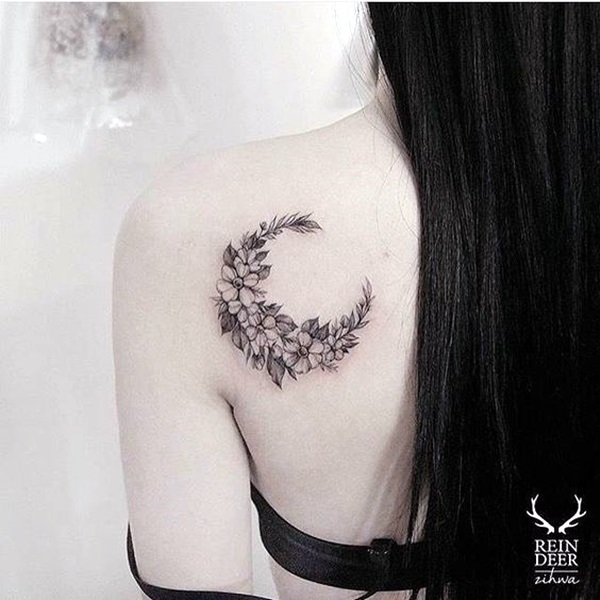 Thereby it is not entirely wrong to compare these tattoos with new phoenix tattoo designs as the phoenix is also known to grow from its own ashes. 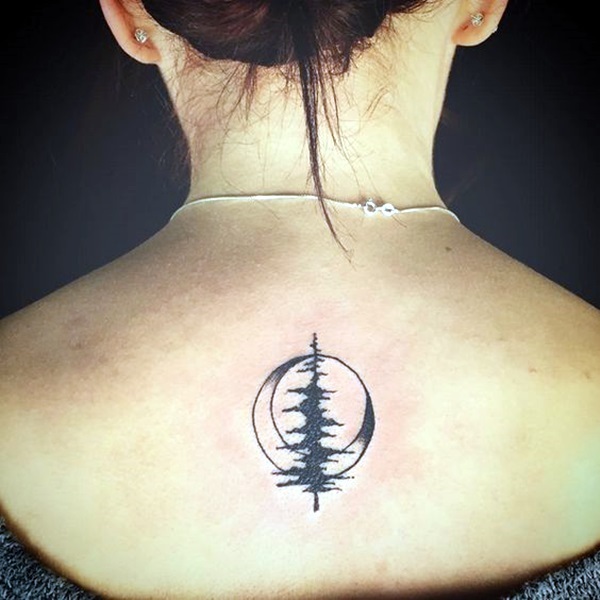 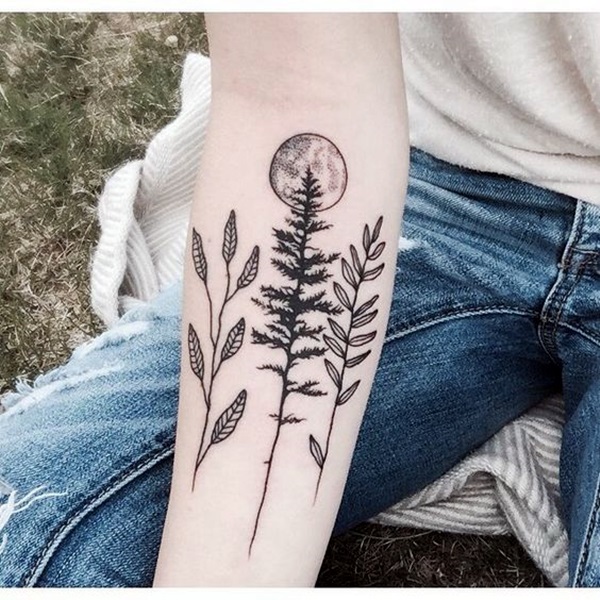 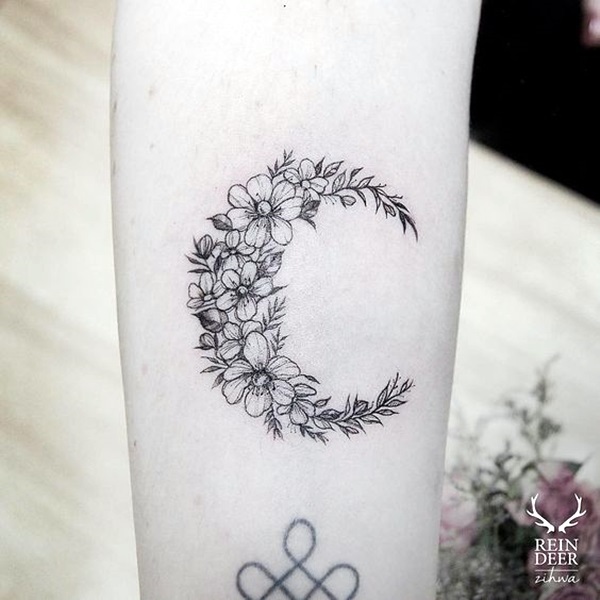 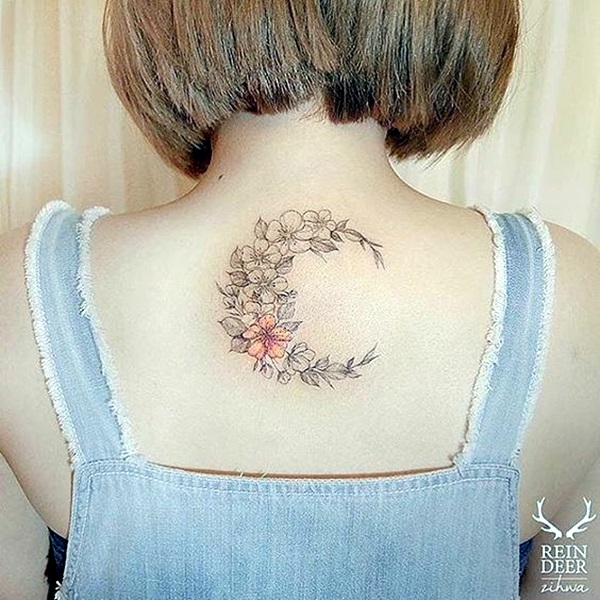 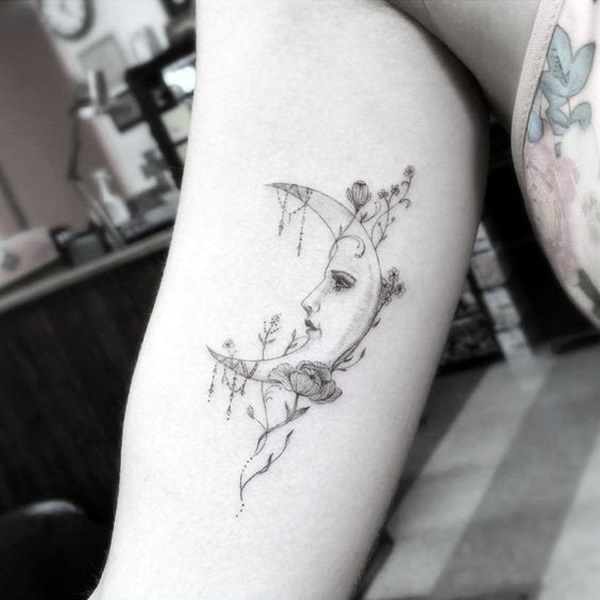 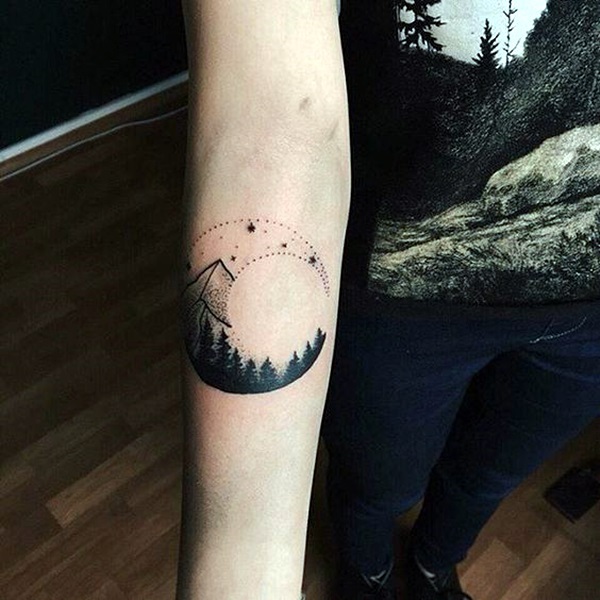 Since moon is connected to nature and nature is the all powerful influence in our lives, it is not again wrong to categorize it in the same category as deep and super cool forest tattoo ideas. 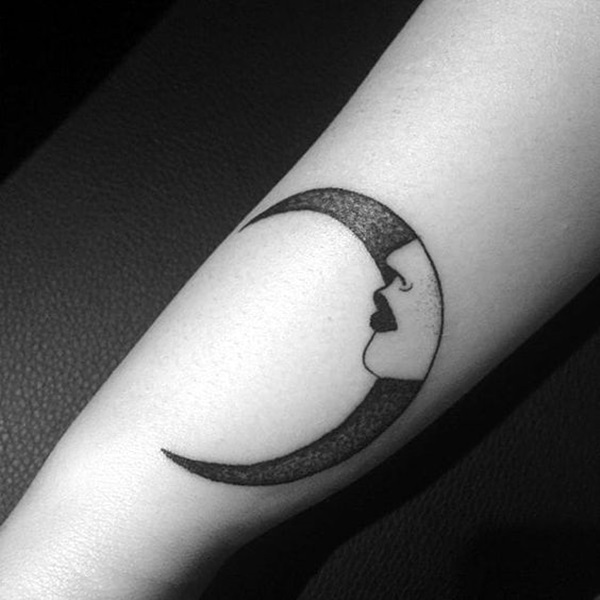 When it comes to the significance and symbolism, the moon holds a tattoo motif there is no end to the possibilities. 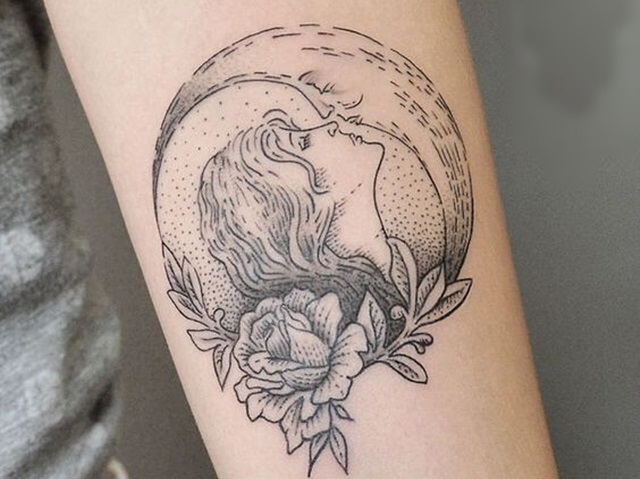 In some religions, the moon is considered a goddess representing motherhood and is worshiped for the cool light she provides and the way she makes us feel when we look at her. 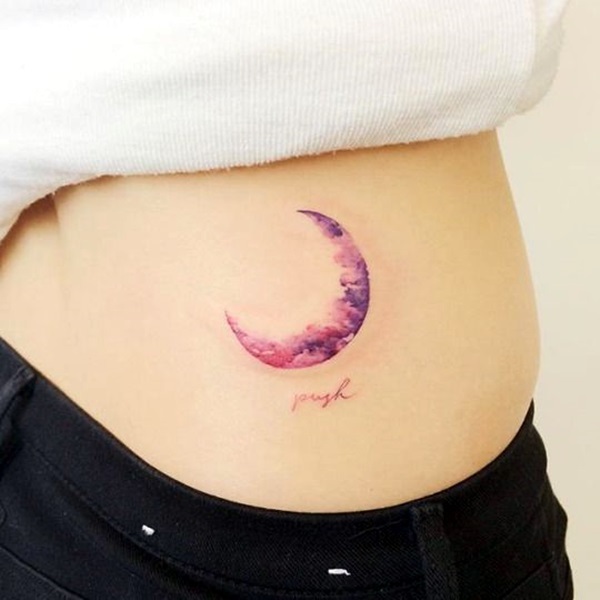 For those who are into horoscopes and astrology, the moon has a special significance in the birth chart and the placement of the moon on the chart is supposed to determine the fate of the person. 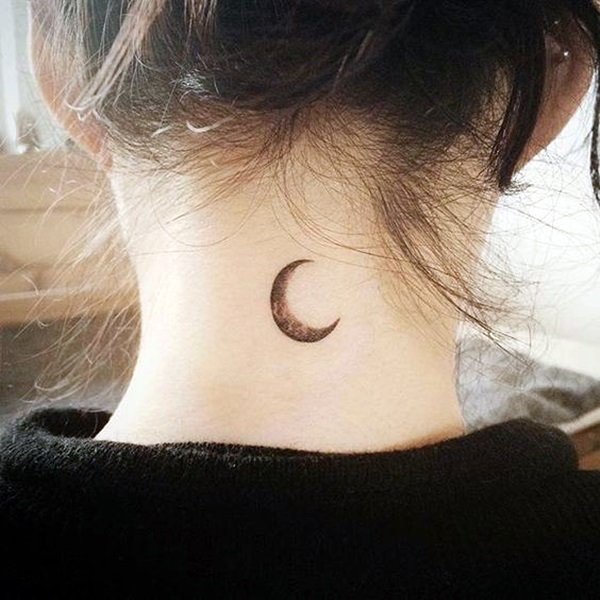 People may get the moon tattoo for some of the above given reasons, but the symbolism of the moon in the world of tattoos does not end here. 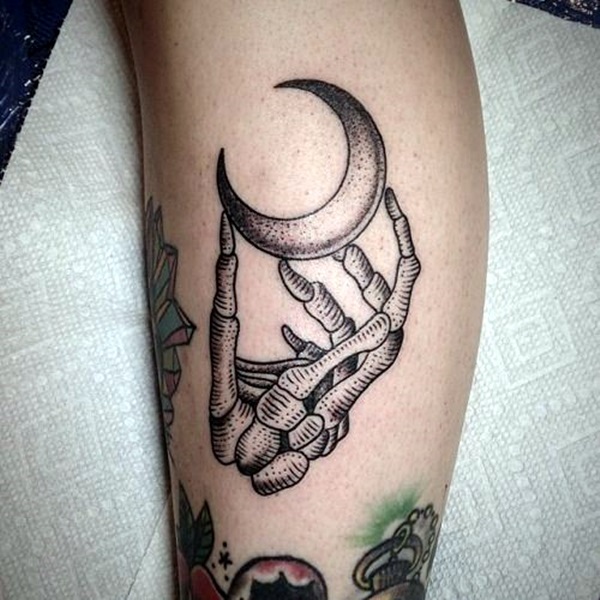 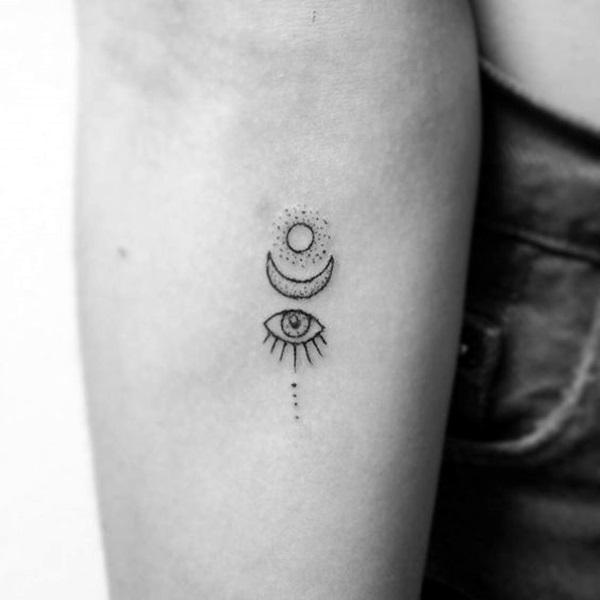 While we have only talked about the positive and spiritual aspects of the moon as a tattoo, there are some who believe that the moon is a significant part of the dark arts like the occult. 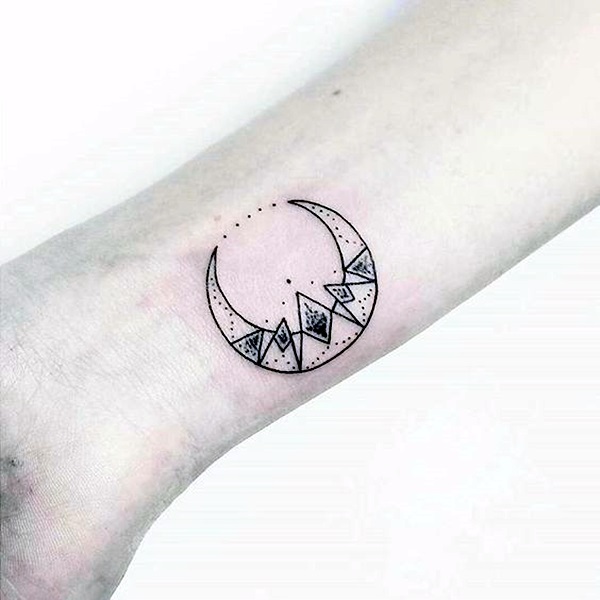 It is believed that many evil powers come into their own during the days when the moon completely vanishes and this could be the reason that some may go for a moon tattoo done. 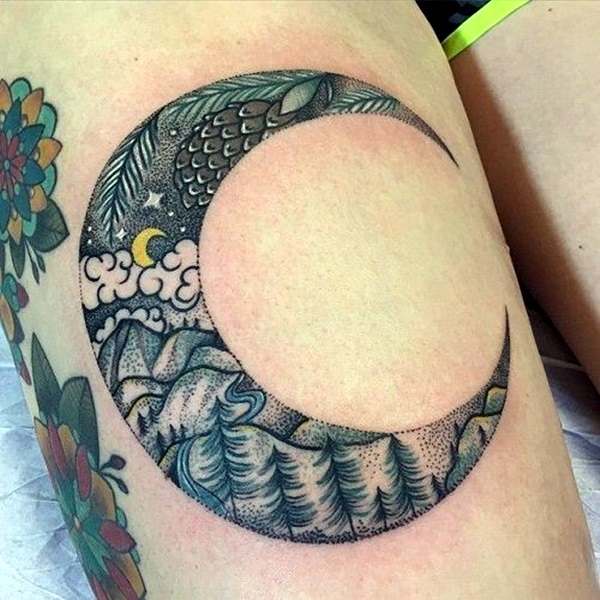 The moon affects water bodies and this is a well known fact that the movement of the seas and oceans is largely influenced by the moon and the cycles of the moon. 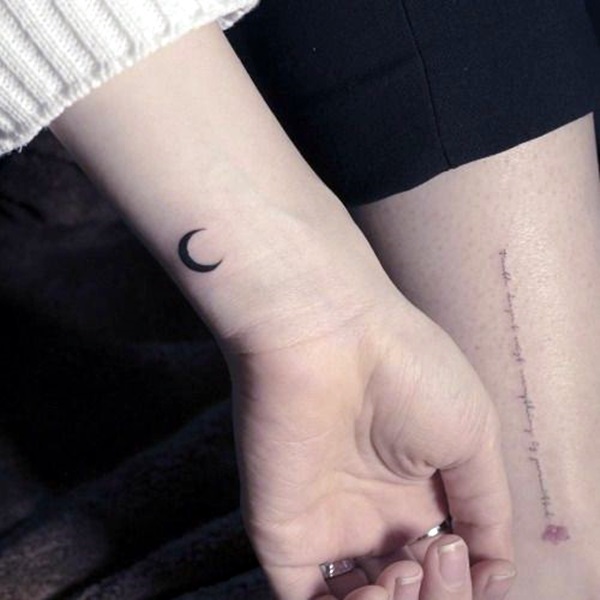 It has also been proven that the moon can affect the moods of people which only makes sense the influence the moon has over water and we are after all composed of water to a large extent. 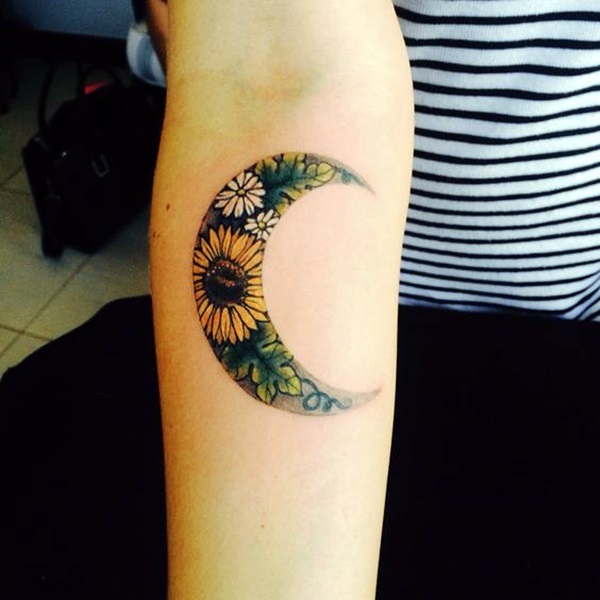 The moon is also a symbol of fertility and birth due to the vast amount of energy that it gives out. 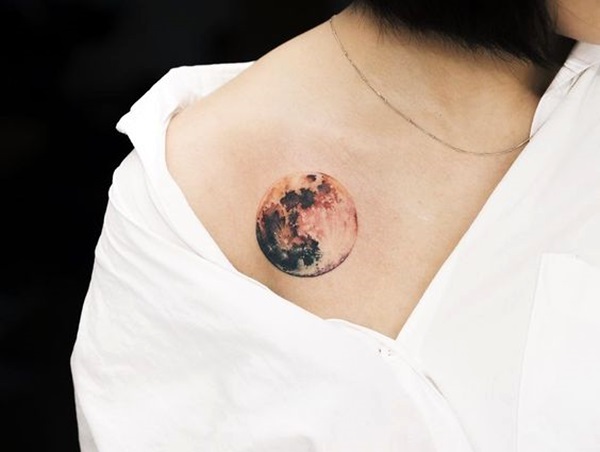 Many people get the moon tattoo either in remembrance of their mother or for the fact that they have become mothers or that they want to become one. 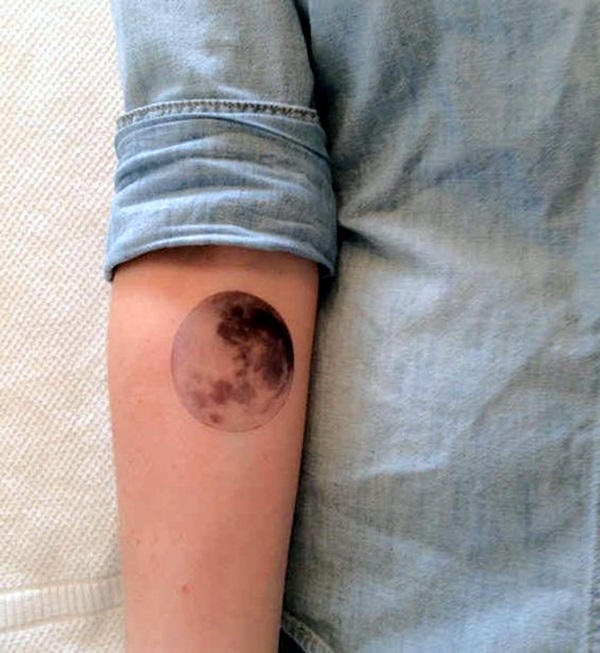 There is also a theory that a woman looking at the moon during her menstrual cycle will get relief from her pains. 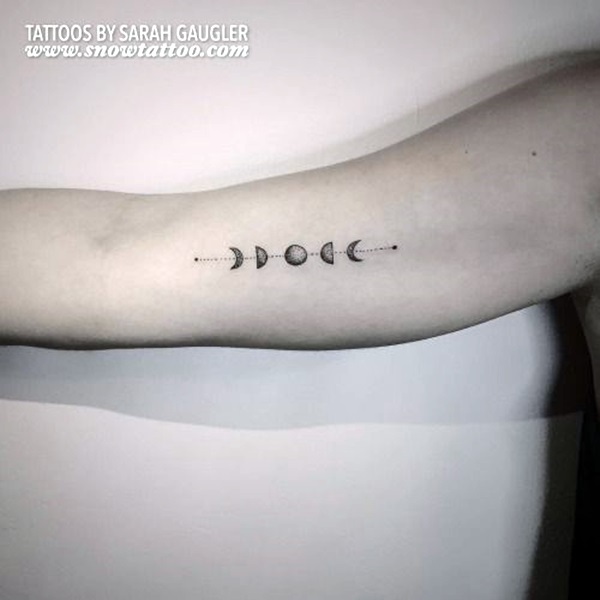 The significance of moon tattoos includes female power, divine light, intuitions, dreamscape, shadows, magic, purity, mystic powers, influence, fertility, moods, mystery, and a benign energy. 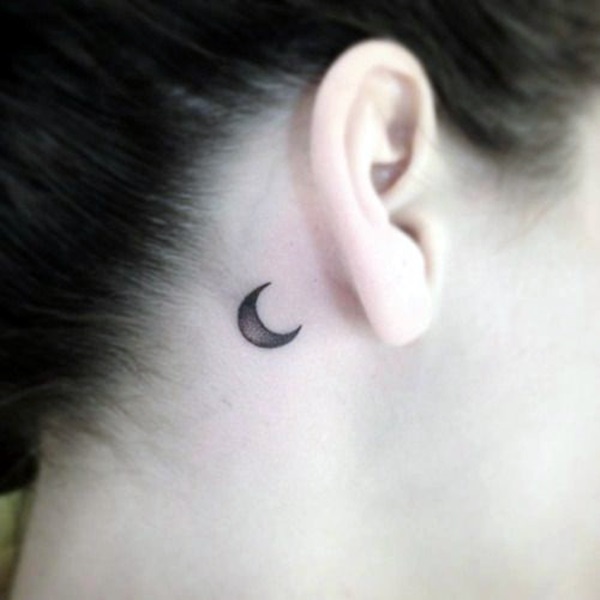 It is also believed that the powers of the moon or rather the influence is so strong that animals like toads, rabbits, bats, cats, spiders mate to the rhythm of the moon and the energies that it gives out. 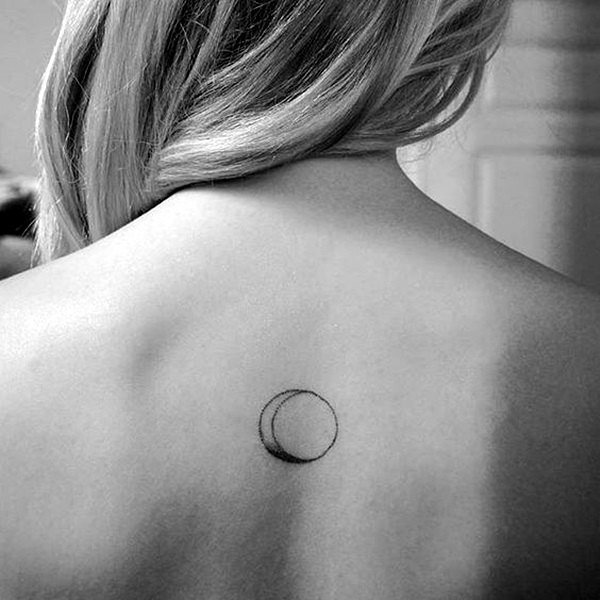 Though many believe that the moon has feminine energy, men too feel the energy and in fact some cultures believe that the moon is male. 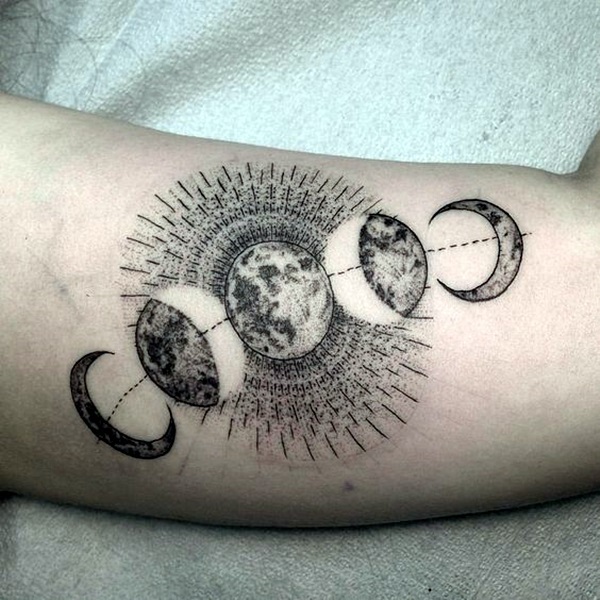 There are different qualities attributed to the moon as per the subject through which you are approaching it. 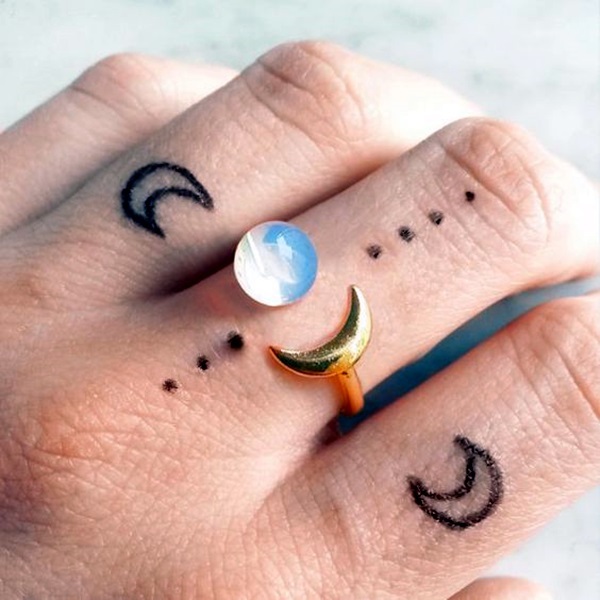 Like in alchemy, moon is supposed to be like silver and is supposed to be purifying. 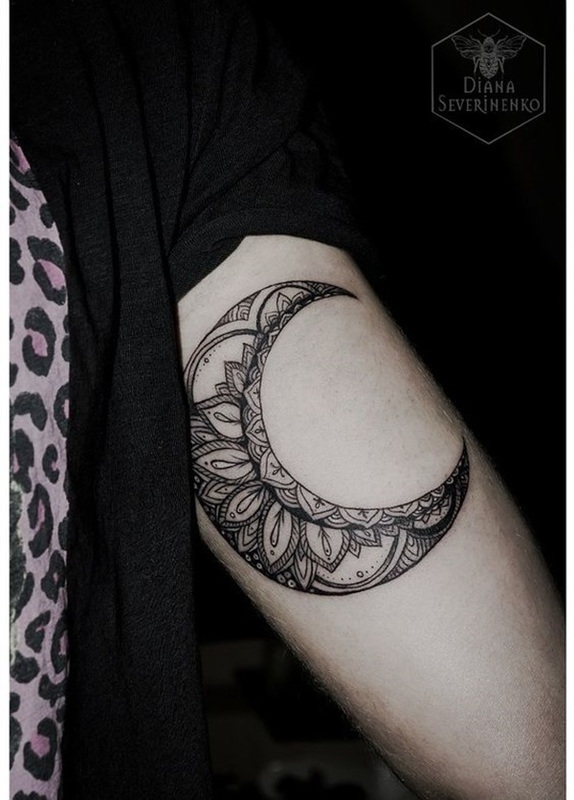 In the archetypal sense the moon represents mother, lover or goddess. 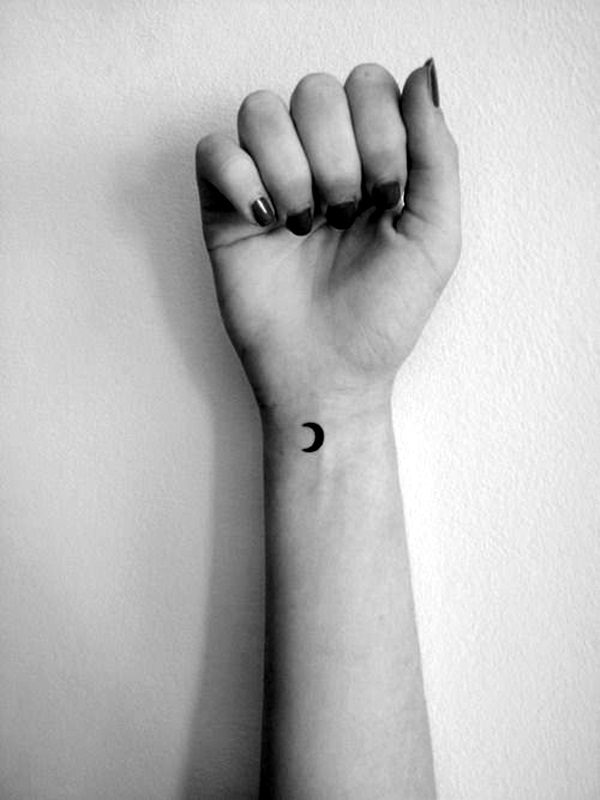 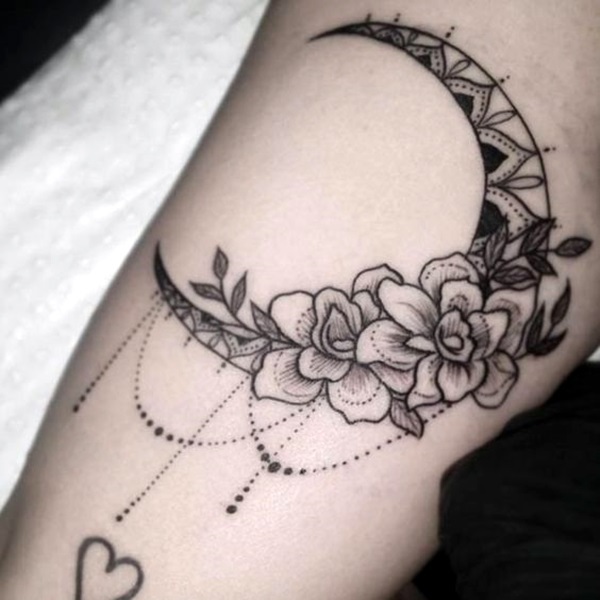 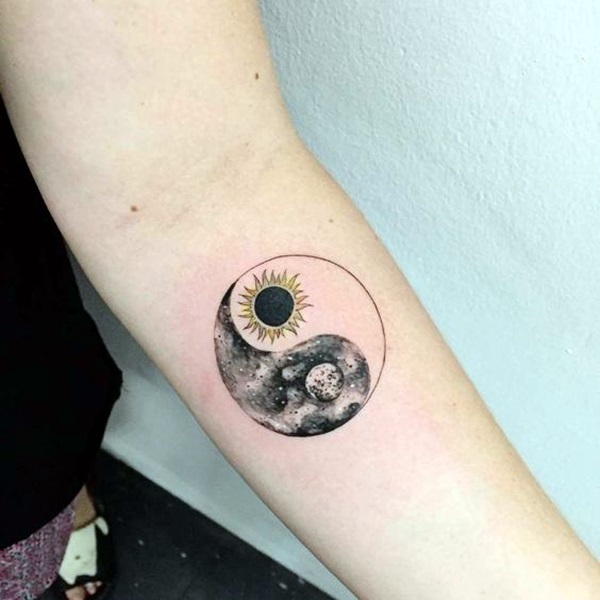 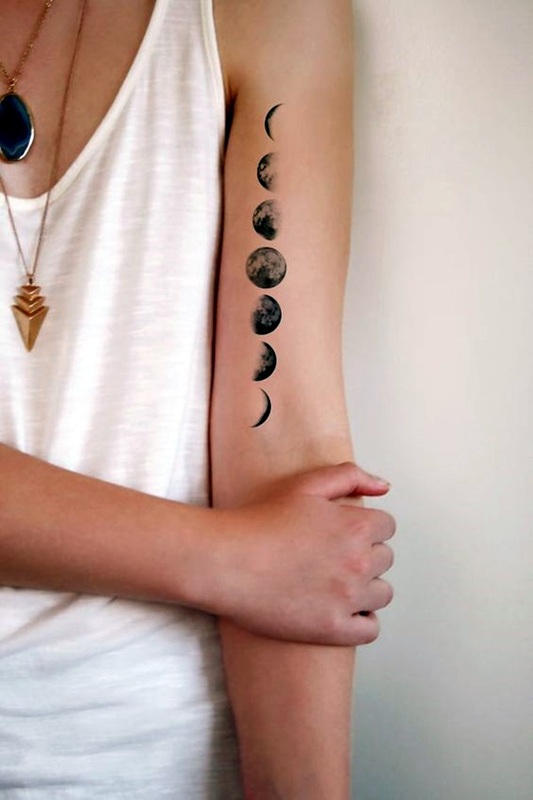 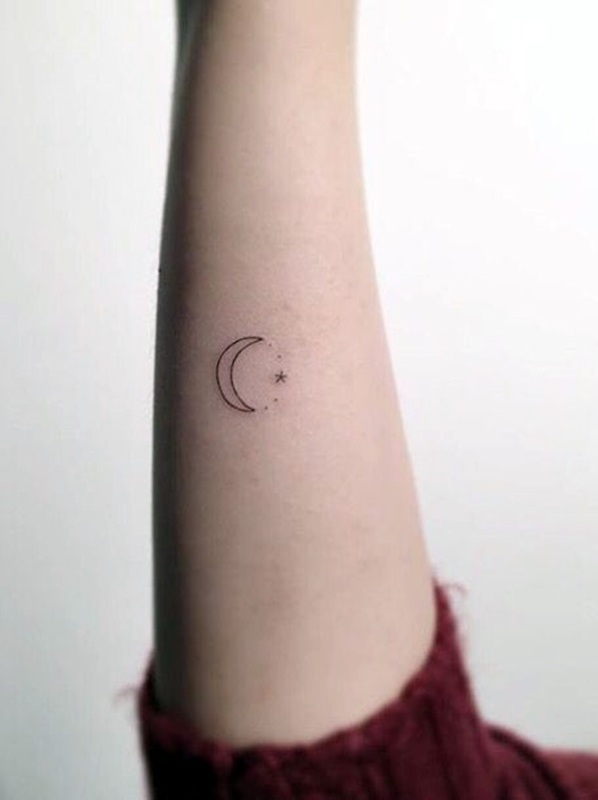 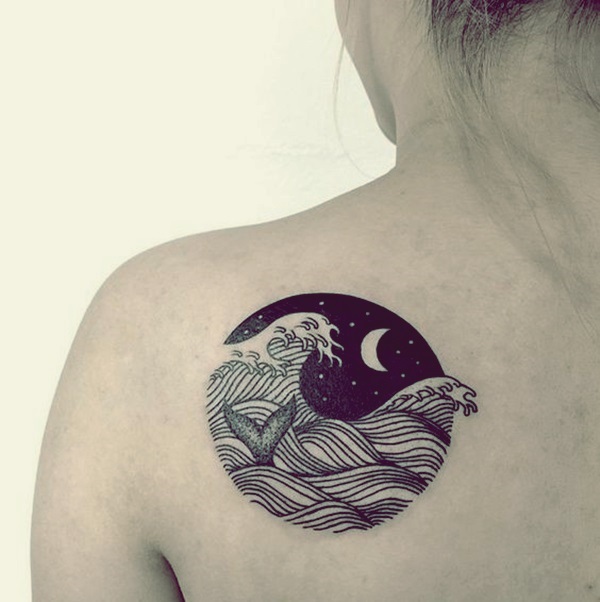 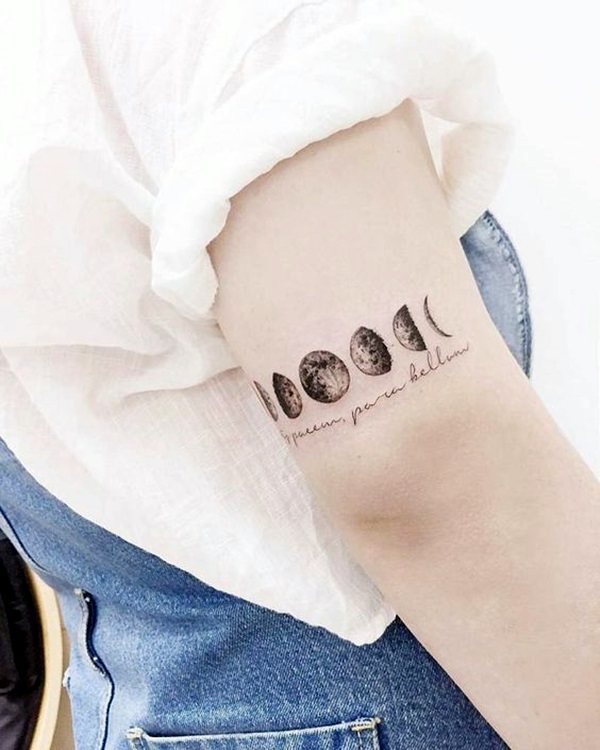 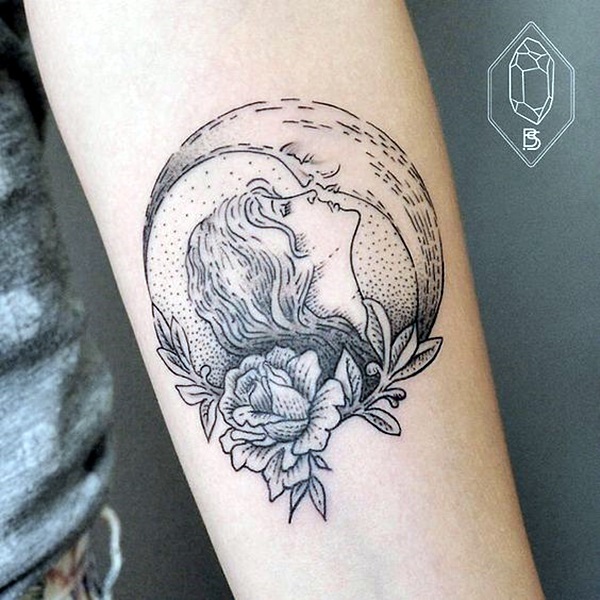 We can go about the symbolism about the moon and thereby the moon tattoo but we feel that you should define this clearly before going ahead with a tattoo of the moon. 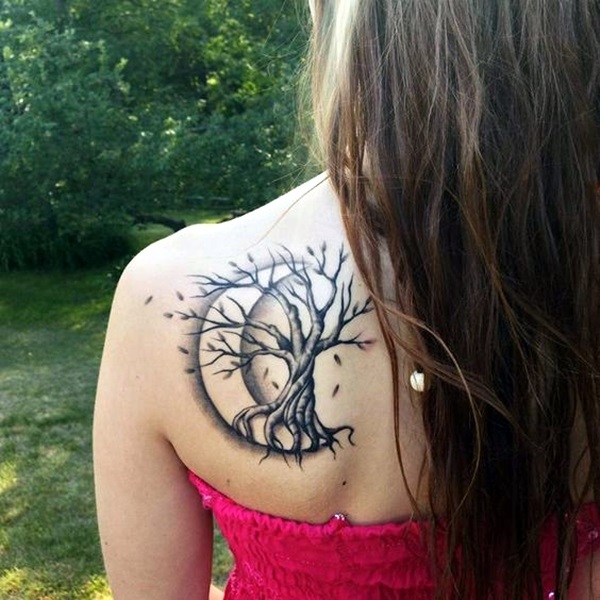 Like any other tattoo, this requires a lot of research, thought and consideration before you proceed with it.